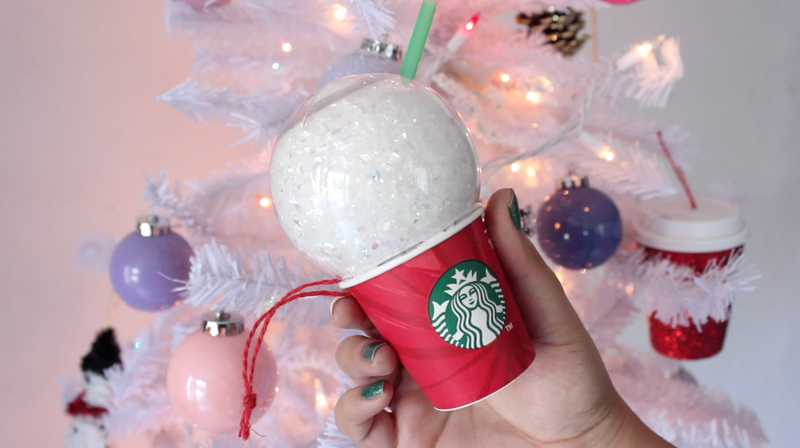 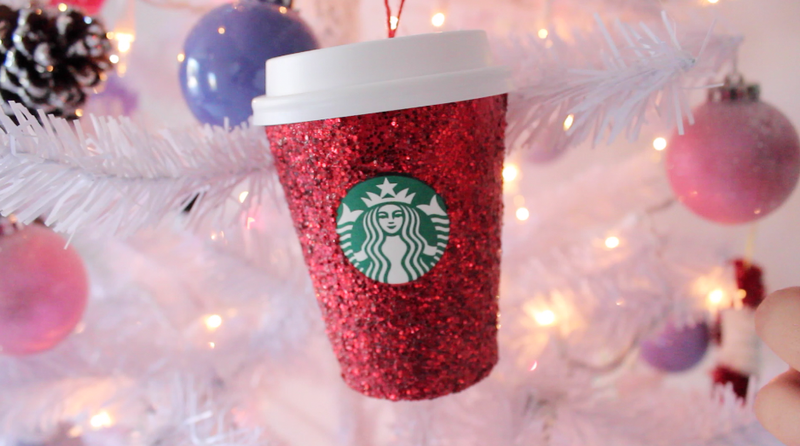 And those little ornaments totally inspired me to make my own Starbucks Christmas Tree ornaments! 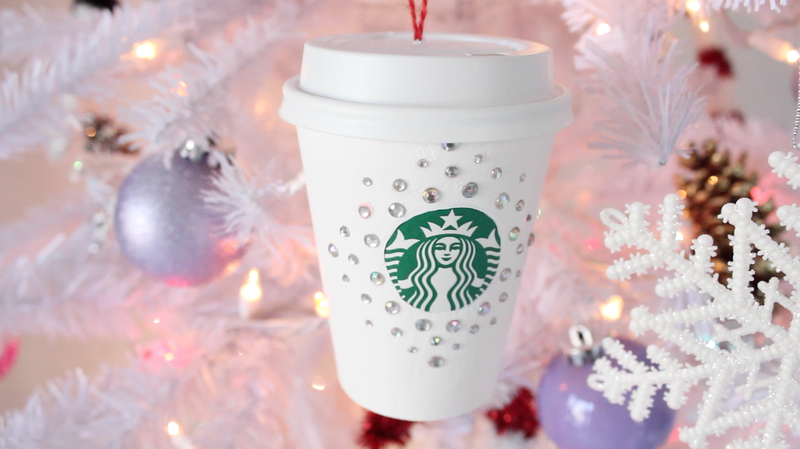 They're very affordable to make you only need to re use your hot drinks cups (ask for the "Short" size, this is the smallest size that Starbucks offers) modpodge and some glitter. 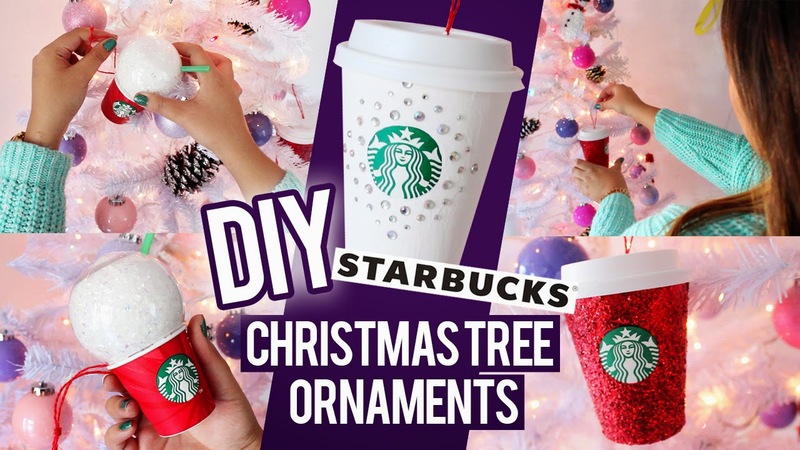 I really hope you like my idea, if you are going to recreate them don't forget to use #HellomaphieXMAS on instagram and Twitter so I can see your photos!